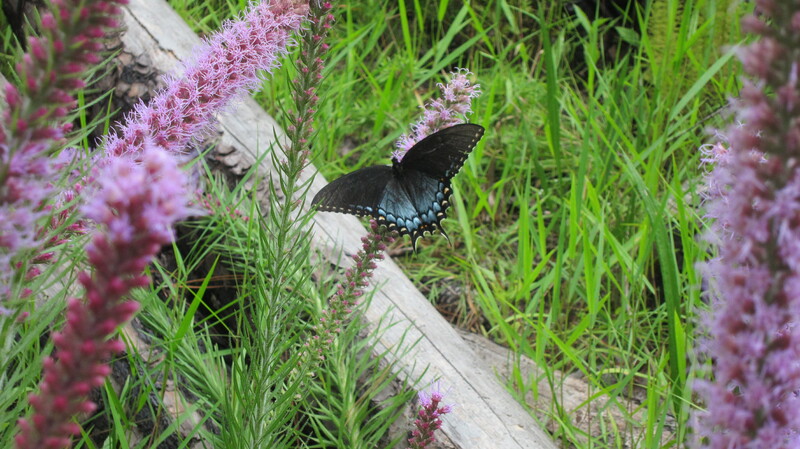 Huntsville State Park offers 21 miles of trails through the natural beauty of the East Texas Pineywoods. 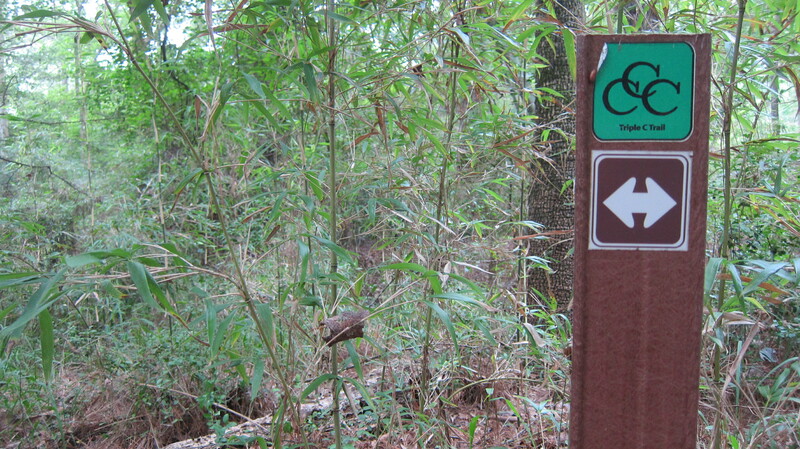 Two of my favorite trails at the park are the Triple C and the Chinquapin Trails. These two trails wind their way through one of the most beautiful forested sections of the park. 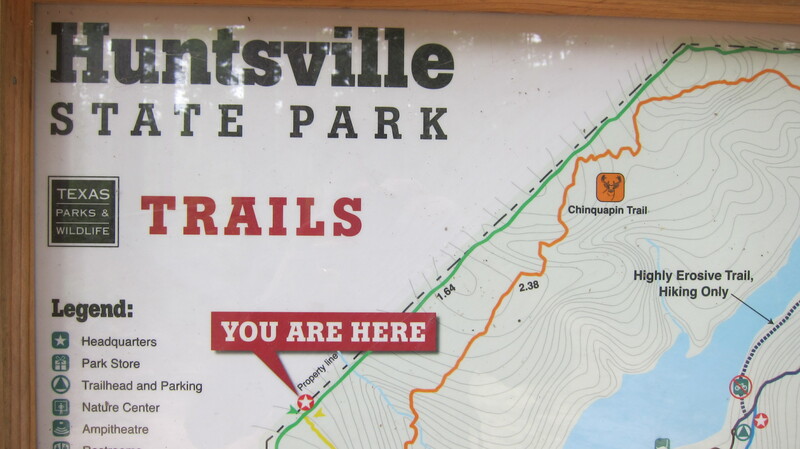 I was especially excited to hike the Triple C Trail — named in honor of the work of the Civilian Conservation Corps. The Civilian Conservation Corps (CCC) was formed in March 1933 when our nation was in the grip of the Great Depression. With more than twenty-five percent of the population unemployed, President Franklin Delano Roosevelt took decisive action to help the unemployed. The CCC was one of Roosevelt’s first New Deal programs and harnessed the strength of our nation’s youth to help conserve our natural resources. Operating from 1933 to 1942, the CCC engaged in conservation initiatives in national and state parks around the nation. Today, the CCC is recognized as the single greatest conservation program in our history. The conservation initiatives of the program not only developed young men through disciplined outdoor labor, they also fueled concern for our natural resources and laid the foundation for the tenets of modern conservation. As I hiked the Triple C Trail, I thought about the young men who labored during the Great Depression in the area near the trail. Their boot prints are no longer visible in the East Texas soil. Their names are not recorded on any plaque. The only thing that remains are remnants of their labor along a trail through the woods — one that has given countless numbers of people across the years access to one of the most beautiful places in the Lone Star State. When you think about it, we are all the beneficiaries of the labor of those who came before us or those who worked hard to make something that we enjoy today. Whether a hiking trail or a home or even the car that we drive, our lives are made better in many ways because of the labor of others. 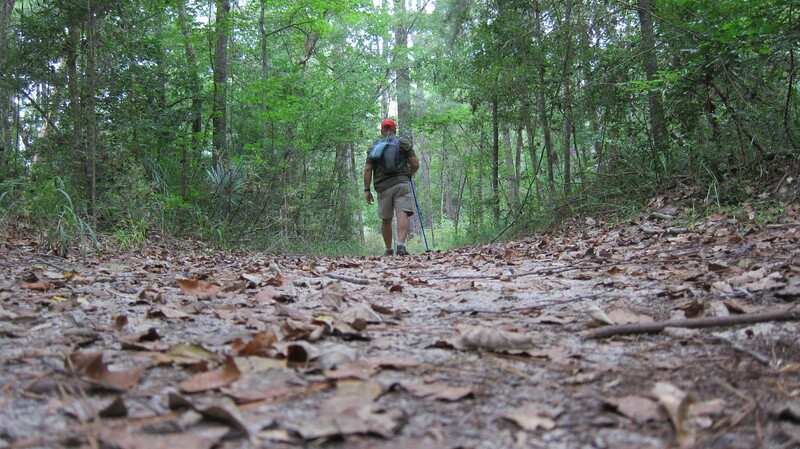 The next time you are in East Texas, swing by Hunstville State Park, lace up your hiking boots, and hit the trail. And, as you walk among the tall trees, make it a point to think about the young men who lived during the Great Depression and were a part of a program that inspired the preservation of our natural resources for the enjoyment of generations to come. May their example inspire us to leave a legacy that can be enjoyed by future generations. This entry was posted in Hiking and Camping, Texas State Parks and tagged Civilian Conservation Corps, Hiking, Huntsville State Park. Bookmark the permalink. This is great Omar! I did not know about these trails. I am going to take the boys there this fall for sure! Love the new blog. One of my favorite parks. You and the boys will enjoy hiking the trails through the tall trees. Nice write-up, Omar. 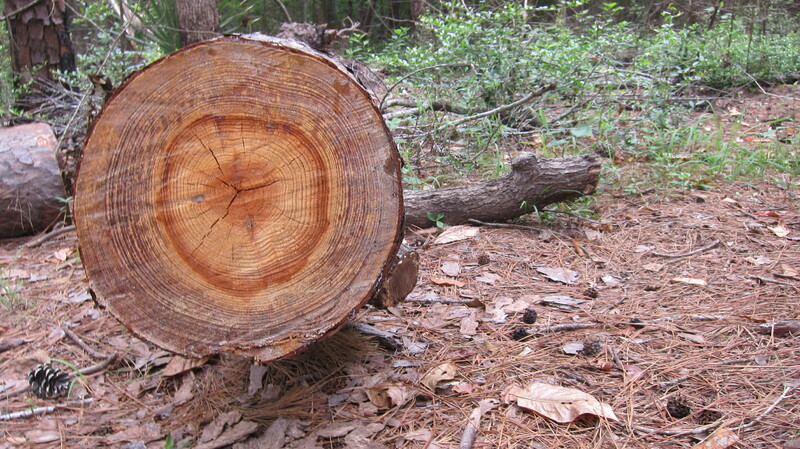 Fall is a wonderful time to hike in the Piney Woods with the aroma of decaying leaves and pine needles. For those interested in more trail miles outside of the park, there is a spur trail leading from the park to the Lone Star Trail. Thanks, Marty. Also love the Lone Star Hiking Trail — another Texas treasure! I have so enjoyed your insightful postings about what you enjoy about our glorious state of Texas. I’m a native Texan (grew up in Alice), A&Mgrad. Thanks, Nolan. I appreciate your readership. Excited about this new blogging venture about our great State. Somehow, my posting got sent before my finishing it. I’m also a cyclist (did the Southern Tier in 2005). I now live in Fair Oaks Ranch 25 mi. from the Alamo out 10W. Most of my riding is either in FOR or out near Comfort. Great routes out there! Would like to hook up with you sometime and do some riding when you are available. For 7 years, I was on the Board of the Friends of LBJ Nat. Historical Park, and the Chair of the LBJ 100 Bicycle Tour. I think you have done that one. We refer to it as “the premier springtime cycling event in the Texas Hill Country. Would love to hear from you. BTW – My wife and hiked to Gorman Falls today. Absolutely beautiful scenery. We’re now overnighting in Mineral Wells. Did a quick survey of a trailhead of the Lake Mineral Wells Trailway. Goes 20 mi. between MW and Weatherford. Thanks for the heads-up about the biking trails near Comfort. Would definitely love to meet you sometime to ride those trails. Glad to hear you and your wife hiked to Gorman Falls. Absolutely love that hike. I posted a blog about that adventure on my GoBeyondBlog.com site and will repost it later on my Explore Texas Blog. Also enjoyed visiting the Regency Bridge while we were in that neck of the woods. Thanks again for introducing yourself. Hope to meet you in the near future.